Craving Chinese? 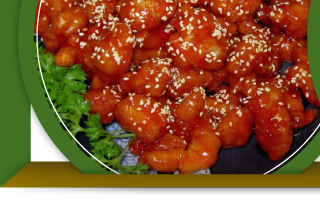 Located in Conestoga Square in Brampton, Golden Lake Chinese Food is more than just a place to satisfy your craving—you’re also going to get a great meal made fresh to order. Our family-run business is dedicated to quality food preparation—we don’t make big batches of our popular dishes and then portion them out as the orders come in. Instead, we start on your sweet and sour chicken or vegetable lo mein when you order, and not a moment sooner! Not sure what to try? View some of our most popular dishes and our money-saving combination meals! And if you call for delivery, we promise your food will be to you fast. We have more than 31 years’ experience in the food industry, and we know what it takes to satisfy the hungry folks of Brampton. Check out both our full menu and current promotions before you order and save! Give The Gift Of Golden Lake Food! Pick Up a gift Certificate today.